Alcohol addiction affects not only the addict but also the families and loved ones of these persons. Getting help and recovering from alcohol abuse leads to a better quality of life for all affected by this. 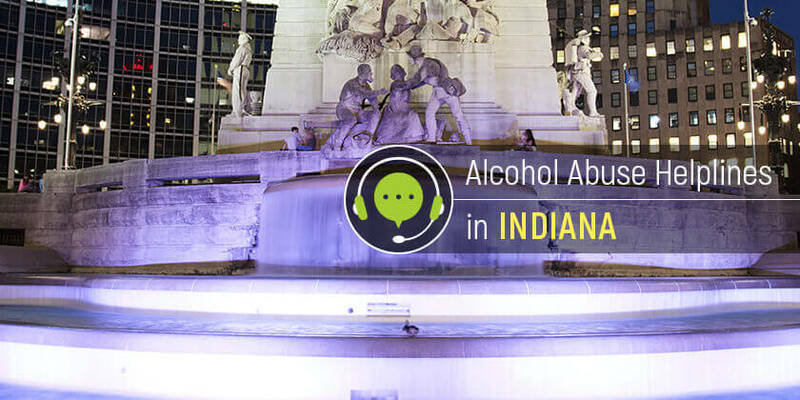 In Indiana, there are some alcohol helplines to call to get quick help and information. Delphi Health Group offers free alcohol and drug counseling, treatment advice, and treatment services. Dial the alcohol hotline (866)-520-2708 to speak to a representative. Note that the calls are toll-free, confidential, and available all day long, all year round. Moreover, the services provided by Delphi Health Group are covered under insurance. Indiana Addiction Hotline provides information and resources for people who seek treatment for alcohol addiction. Hotline counselors can transfer calls to healthcare providers instantly when necessary. The alcohol addiction hotline connects people to state-approved alcohol addiction treatment agencies and support groups, such as Alcoholics Anonymous. Dial the alcohol help hotline 1-800-662-HELP (4357) to speak with an agent in English or Spanish. The local branch of the National Alliance for Mental Illness provides the crisis response helpline for the alcohol abusers and their family members. This hotline can be reached at 800-677-6442. Note, that this phone number operates from Monday to Friday, from 9:00 AM till 5:00 PM.